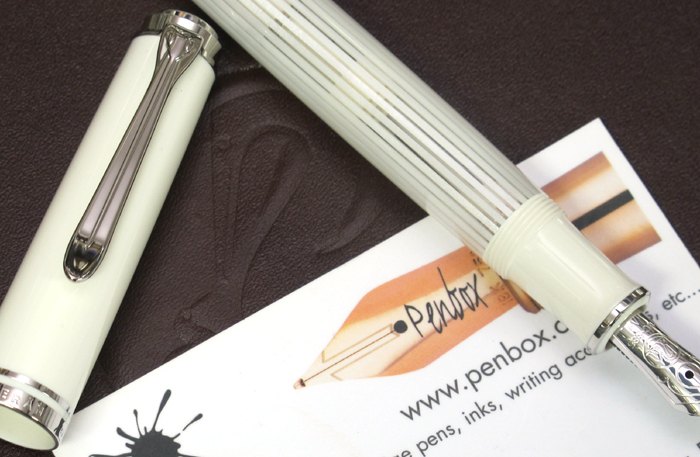 New from Pelikan in October 2017, the Special Edition M605 Pelikan Souveran White Transparent fountain pen and ballpoint pen is the latest interpretation of the classic Pelikan Souveran from the Pelikan Pen Company. We think that the white – transparent barrel and all white cap in unison with the palladium trim and 18k/rhodium nib create an invigorating contemporary look. These pens are supplied in a special edition gift box.